Back And Knees Hurting? Let Us Stretch Out Those Sore Muscles! We all tend to think we know what’s best for living a healthier lifestyle. Eat less, exercise more, and MOVE FORWARD! When we are feeling an achy back or knee and suffering from pain, we end up going backwards. moving less, taking it easy, and being cautious about doing anything new seems like sage advice. In some cases, we accept discomfort and pain and continue to live our lives. 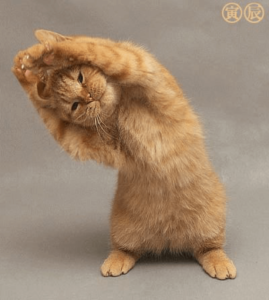 I tell my clients that range of motion is important, but we don’t need to be as flexible as a ballerina or cat. We must train our back and knees for longevity because life hits us hard, and we only get one body. SO, TAKE CARE OF IT! It’s surprising how an issue with one part of the body can hinder the rest of our function. A sore back may have you waving the white flag when you start feeling the side effects of working out, but that is exactly the time to stretch and recover. What does a stretch session include? At Ultima Fitness Performance, we can assess the range of motion around the joint through a series of different stretches. Everyone is at a different level of flexibility, and we work with you wherever you may be. We will then be able to determine what’s the best way forward, so you can live a pain free lifestyle. Ready to get started? Learn about everything our personal trainers can do for you!